Most of us are pretty good about slathering sunscreen on our body before heading out to the beach, but are you protecting your face with SPF, too? And not just when you’re at the beach? If you tend to avoid applying sunscreen to your face because it feels greasy, uncomfortable, and doesn’t work well with makeup, you’re not alone. But what if we told you there are some great products that you can find at your local London Drugs that will not only protect your face from the sun’s harmful rays, but will also make you look fantastic in the summer heat? Our Beauty Advisors are here to help you find ways to add SPF to your summer beauty routine, without feeling like you’re sacrificing the look and feel of your makeup. One important thing to keep in mind when looking for products with SPF is to be wary of SPF products that are only approved in the US. Canada has much more rigorous standards for SPF than other countries like the US, and so if you’re researching a product online, you want to be 100% sure that that product actually has been approved by Health Canada to say that it has SPF. Sounds a bit confusing? Don’t worry. We’ve done the research for you, and narrowed it down to the best SPF products that are Health Canada-approved. Watch the video to see our Beauty Expert Candice’s sun safe summer beauty routine with SPF, and then keep reading below to get application tips and learn more about the products she used. If you’ve been searching for a sunscreen for your face that doesn’t smell at all like sunscreen, and makes a good foundation base, THIS is your answer! The Lise Watier Sunsmart UV Shield (SPF 30) feels like a silky primer on the skin, and creates an excellent base for your foundation. It’s also oil free and paraben free. Just apply after your everyday skincare routine, and before your makeup. Tinted creams, or BB creams, are a great way to get the benefits of sun protection while also getting some basic makeup coverage. Shiseido’s Suncare Sports BB has an SPF of 50+ and is water resistant for 80 minutes, making it a great choice for if you’re planning to take a dip – or even if you’re just out in the sun. Its SuperVeil-UV 360 technology helps to provide an even, protective layer on the skin, while naturally covering uneven skin tone and pores. Use the new Bioderma Photoderm Mineral Compact (SPF 50+) as an all-over foundation, or choose a darker shade and use it as a contour (with the added bonus of SPF!). The formula is perfect for hot summer days: non-greasy, non-sticky, with a powdery finish. It’s also fragrance-free, paraben-free and preservative-free! Going to be sweating or hopping in the lake? It also resists water and perspiration. Finding a product that gives lips a good dose of colour, as well as protects with SPF, isn’t easy. That’s why our Beauty Advisors actually recommend using two products: an SPF lip balm first, and then a lip stain over top. First, apply a layer of The Green Beaver Company Mineral Sunscreen Lip Balm SPF 15, and then sweep the transfer-proof, non-sticky Clarins Water Lip Stain in Red Water over top to add some colour! A stain is recommended, as opposed to a gloss, because glosses can reflect the sun’s light and actually damage the delicate lip area. So make sure to choose a stain or other matte lip product. Or, if you’re looking for only a very sheer wash of colour, try the Revlon Kiss Balm. It has an SPF of 20, and comes in Berry Burst, Fresh Strawberry, Juicy Peach, Sweet Cherry and Tropical Coconut. This is probably one of the most asked questions our Beauty Advisors get when it comes to sunscreen application: how do I re-apply sunscreen to my face without ruining my makeup? The idea of re-applying a thick layer of goopy sunscreen on your face over top of your makeup doesn’t seem like a very viable option. Especially when you should be re-applying SPF every two hours. So our Beauty Advisors scoured the aisles of our beauty department for a more ideal solution. They found two great SPF products that can help both to protect the skin and mattify throughout the day. How great is that? They recommend first using the Shiseido Ultra Sun Protection Spray (SPF 50), spraying into your palms, and then patting onto your face. The formula is safe to use on the face, and is clear and lightweight, unlike similar spray sunscreens, which are usually white and thick. For this reason, it applies nicely to the face without adding any greasiness. And the patting motions help to avoid ruining your makeup. 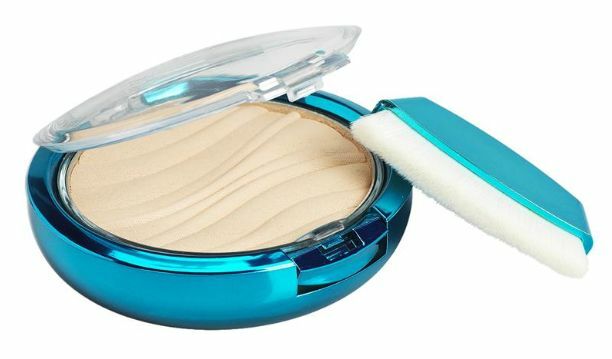 Secondly, our Beauty Advisors recommend applying the Physicians Formula Mineral Wear Talc-Free Mineral Airbrushing Pressed Powder (SPF 30) in Translucent over top of the Shiseido Spray, all over the face, to help control shine. This powder is also one of the only drugstore powders that has an SPF, so you’ll be adding one more layer of protection to your face. LDBeauty tip: apply some of the powder onto your hairline and the part in your hair as well, where you may not have applied your other sunscreen products. It won’t make your roots greasy, and will give a bit of protection to that sometimes forgotten part of the face!